Hi, like several people in this community, I'm having difficulties to cancel my account online. I already tried several times but I keep getting the same error message: "Failure. Cancellation Unsuccessful. Please try again later.". 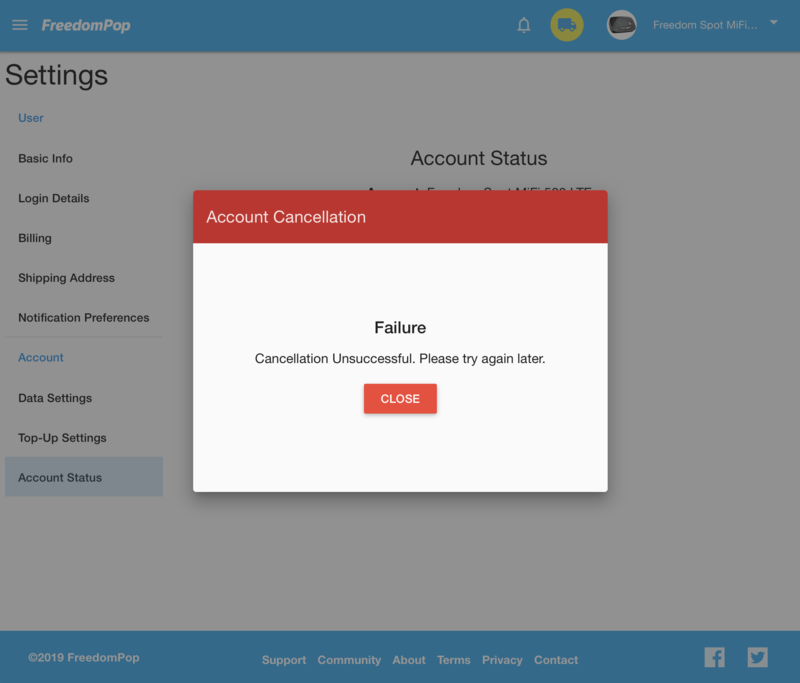 I haven't used my FreedomPop devices in a few years and would like to cancel my account. Can you please assist me in cancelling my account? The services for the Freedom Spot MiFi 500 LTE and the Freedom Spot - Photon are now canceled. Dear Marcela, thank you for your help!